Every winter, many of us face the cold outside and the problems it causes. We never know how to prepare ourselves better to meet winter challenges, so everyone is trying to find their own ways of coping with cold and snow and going well with frosty winter. Because we know how hard it is to prepare yourself in advance, we have prepared some tips to help you get your hands on, or at least to know where to start these preparations. A lot of people think the ideal solution to get rid of cold is to get dressed as thick as possible. But if you know how to choose the right clothes, there's no need for such a thick garment. 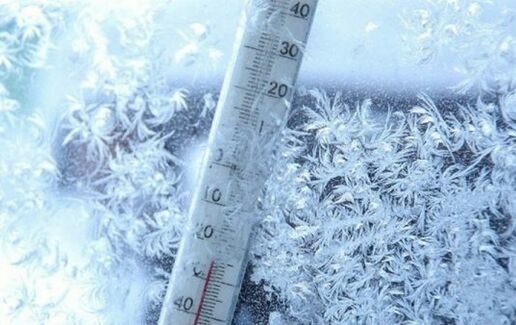 Specialists recommend that we avoid tight clothes because this is not a thermal insulator, as we believe, and the cold will penetrate it anyway. It is best to choose a simple thick wool or cotton sweater that covers our entire body. Quality material will keep your body warm. Also essential in winter is gloves, scarf and especially the hat that protects us from confrontation with a cold. As with the sweater it is good that these items are made of wool or cotton. Both the hands and the face are the most exposed to the cold, so we often have a dry and cracked skin that can sometimes even hurt us. In this case, gloves are not enough if we do not want to face these problems. The skin needs special attention all the time, especially during the winter. It is recommended that you follow a daily care process to prevent these conditions, as follows: every evening, clean your face with special dermatological products. It is also good to use a moisturizing and protective cream specific to your skin type, and in terms of hands, we can also use such a moisturizing cream. In order not to crack our skin, it is advised not to wash our faces or your hands before contact with the cold, but only when we get into the house. Sport and a healthy and balanced lifestyle are always recommended for a long and efficient life, but in the winter they are a real weapon against the cold outside. Because bad weather prevents you from going to the park for a walk or running, then the best solution is to do sports right at your home. Start each day with the morning motion, accompanied by a light and healthy breakfast, and you will be prepared to cope with the cold. Your body will be moving and so will warm up early in the morning, and the road to the office or school will certainly not be so cold! These are the first three steps that we should all take into account when facing outward weather. Nothing is more useful than a proper lifestyle, and if you know how to combine it with the right clothes, you are certainly ready to face any kind of weather!